BRYAN EATON/Staff photo. 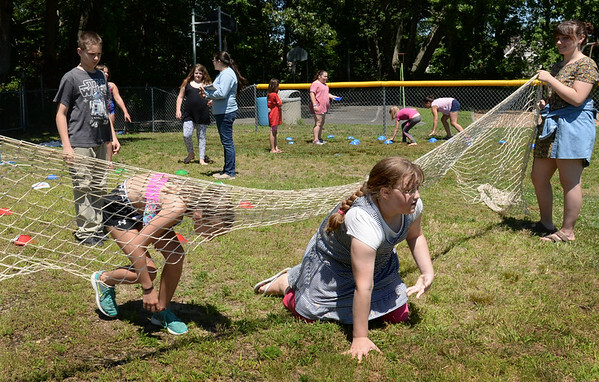 A team from the National Oceanic and Atmospheric Administration came to the Boys and Girls Club with several hands-on activites to teach youngsters about the importance of the oceans and marine life. Here they pretend to be dolphins or seals trying to escape from abandoned fishing nets.